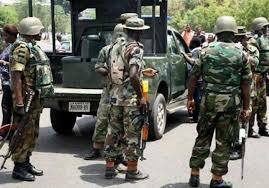 The organisation also urged the Nigerian Army not to be deterred by the attacks orchestrated by the insurgents, who, it said, were on the decline and on the way to irrelevance. National Coordinator of the group, Charles Timothy, at a press conference, in Kaduna State, called on Nigerians to continue to support the troops who are fighting to defeat the insurgents. Said he, â€œThe Coalition is pleased to note that in spite of the misguided support coming the way of the leftovers of Boko Haram terrorists, the Nigerian military has continued to rout the terrorists albeit with the occasional sacrifice to the fatherland. â€œThis weekâ€™s attack on Katarko village in Yobe state falls into a new pattern of Boko Haram targeting military outposts in the erroneous belief that it would deter troops that are going after them as part of mop up operations. â€œAttacking Yobe is meant to undermine the well-established fact that insurgency is not contained within Borno state and spilling over its boundaries to attempt making statements with attacks on military outposts will do nothing to change the geographical area over which the terrorists are able to play their hide and seek since they are not in a position to frontally challenge the military. â€œThe fact that the terrorists are now focusing on military outpost is an indication that they are under pressure to change the kind of crimes they commit in the growing desperation to remain relevant by continuing to be in the news through sporadic hit and run attacks. â€œThe intensity with which the members of the group shared and promoted video clips from the said incidents in Yobe state indicate that the recent attacks by the Boko Haram terrorists is an attempt to recover what they perceived as their lost glory, something that the Nigerian Army must continue to deny them. â€œThe Army must continue to hold the line and ensure this bloodthirsty group does not come anywhere near the level of insurrection it carried out three months to the elections of 2015 since the goal is for the terrorists to be able to produce such situation for their political patrons to cite. The pattern seen with recent events is that there are people waiting to argue that Boko Haram has resurged to its fourth quarter 2014 destructiveness in the bid to accuse the present government of having failed in a key electoral promise. â€œIf only for the sake of the innocent population in the north east, the government troops that have recorded commendable exploits in the area, especially the recent acts of valour in Yobe state where they overpowered the terrorists and killed many of them, must ensure that the winning spirit does not depart from them. Those guys are really trying, only their bosses?